Simon & Schuster Books for Young Readers, 9780689848698, 224pp. October 1835. 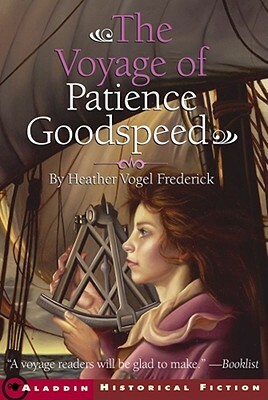 Patience Goodspeed, almost thirteen years old, departs from Nantucket aboard her father's whaling ship. Between kitchen duty and whale blubber stench, this voyage is far from a pleasure cruise. At least Papa lets Patience assist the ship's navigator since she's so good at calculations. But the smooth sailing doesn't last long. Mutinous mates maroon most of the crew, including Patience's father and brother, on a deserted island. Can Patience rescue everyone before it's too late? Booklist A voyage readers will be glad to make. Publishers Weekly The brave heroine makes this historical adventure most memorable.